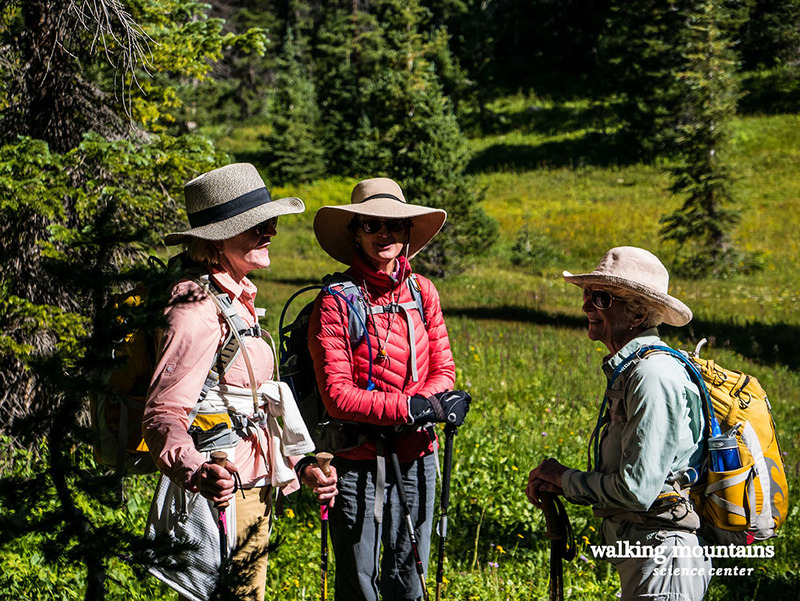 Join a trained Certified Interpretive Guide and Wilderness First Responder to discover some of the most beautiful hiking destinations in the Vail area that are only accessible via your two feet! 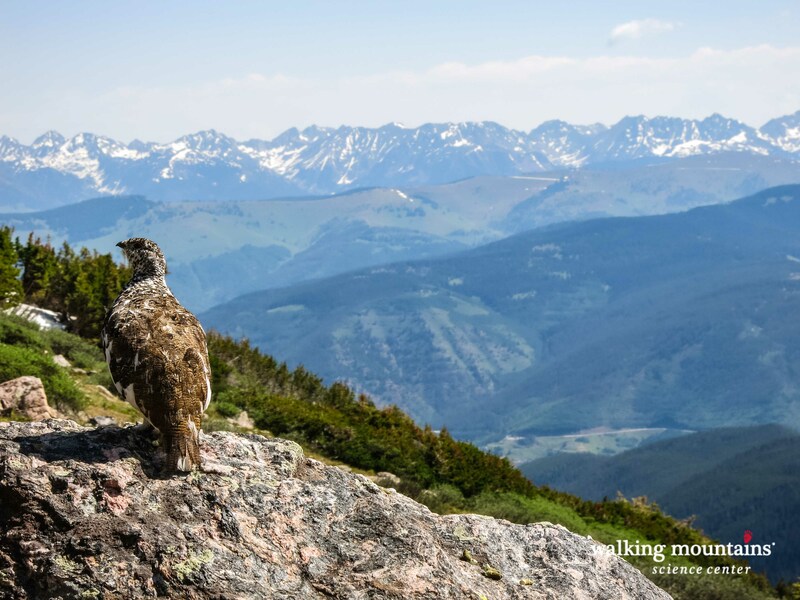 Walking Mountains Science Center and the Vail Recreation District operate under special permits from the US Forest Service and Bureau of Land Management that allow us to experience and learn from public lands like few other Vail hiking guide services can offer! Transportation is provided from various locations from Vail to Edwards. 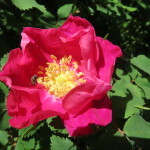 Click here to learn about our free daily nature walks. Stay tuned for hiking registration! We also offer Hiking Club Memberships! 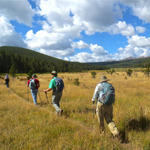 The Vail Nature Center Hiking Club, in its 21st year of hiking throughout the Eagle Valley, offers members unlimited access to full and half-day hikes throughout the entire hiking season 6/5/2-18-10/31/2018 as well as exclusive club outings. Hikes are available to club members on a first come, first served basis so register today to make sure your favorite hikes are still available! 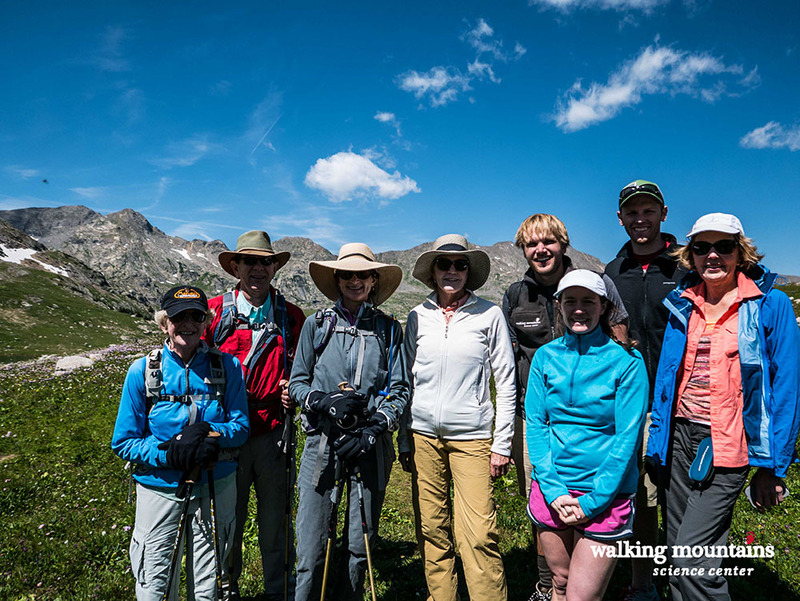 Club members also receive additional perks such as a Colorado Search and Rescue membership card, discounts on select Walking Mountains’ programs, and personal assistance registering and planning hikes. New discounts in 2018 on hikes led by world famous adventurers and inspiring environmental educators! Vail Recreation District property owners also will receive a discount at checkout. Ages 16+, $80 or $75 for VRD taxpayers. 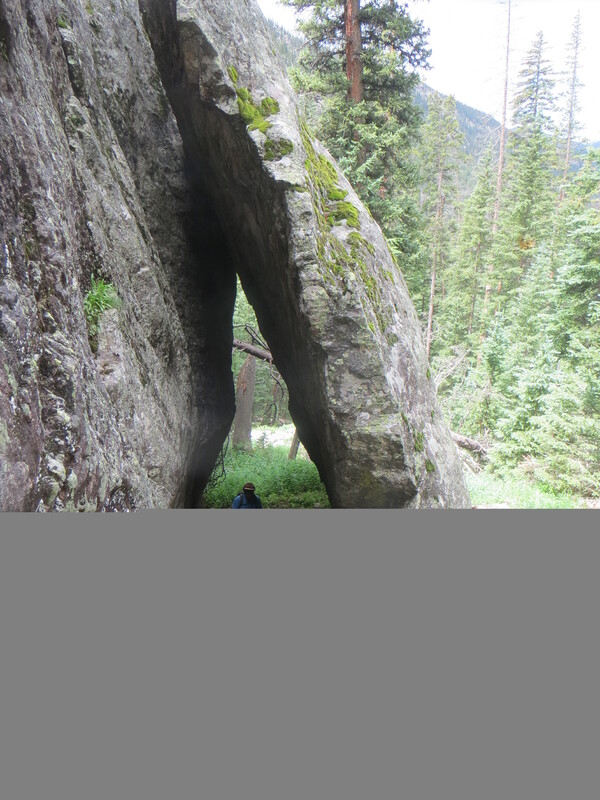 One of the more popular trails in the Vail area that also shares the namesake with our gorgeous surrounding mountains, the Gore Creek trail is easily accessible and relatively moderate for an East Vail trail. The trail concludes at pristine Gore Lake nestled amongst the peaks. This is a true full-day hike but the views are well worth it! 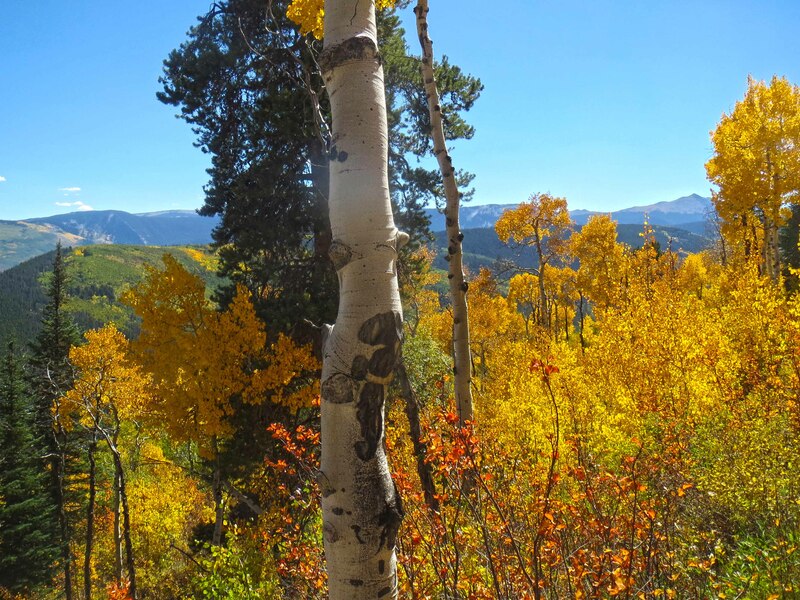 Accessible via a turnoff on US highway 6 in Eagle Vail, this trail ascends the back side of Meadow Mountain and provides hikers with views of Beaver Creek Mountain and the I-70 corridor. 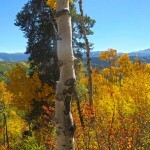 Whiskey Creek Trail is a lovely scenic trail through alternating grassy meadows, aspens, and conifers. The high point near Walking Mountains’ home in Avon, summiting Red and White Mountain is a must-do for locals in the Eagle Valley. From the top we’ll look out over Vail, Beaver Creek, and the I70 corridor and even get a glimpse of the Flat Tops to our north. This is a long day but a great opportunity to hike from the valley bottom to the top of the mountains! 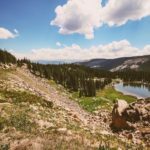 One of the longest and most arduous of East Vail hikes, hikers usually encounter snow until the latest of the summer months! 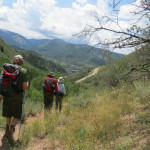 The first mile of the trail is strenuous as it climbs steeply out of the Vail Valley. Fallen trees along the trail are evidence of past avalanches. 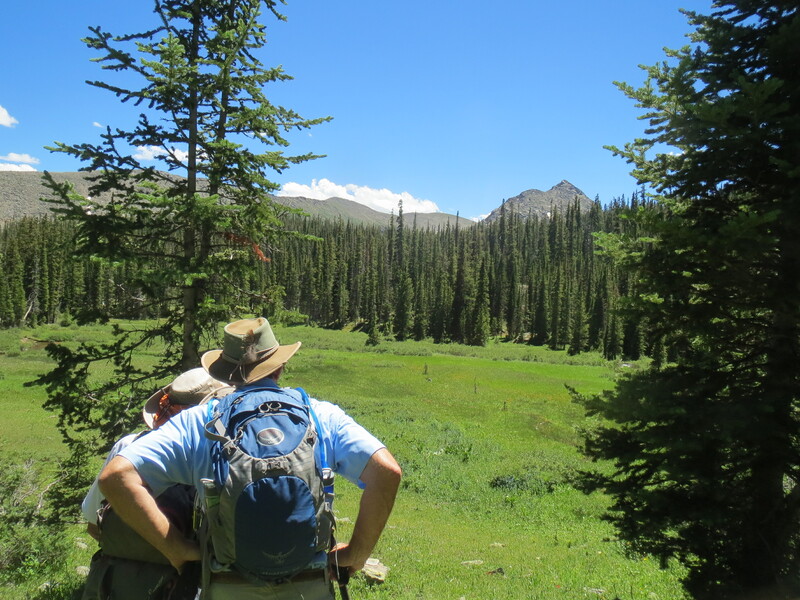 The grade levels out somewhat as the trail passes through mature aspen groves and spruce-fir forests and a series of moraines from an ancient glacial retreat. After a number of false summits, the trail reaches Pitkin Lake, nestled beneath an arc of gray granite in the alpine tundra. 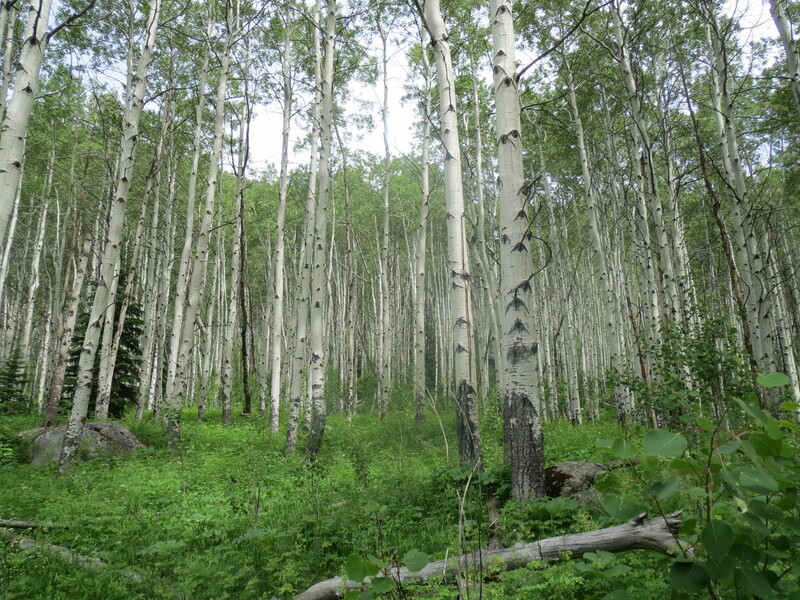 The trail begins at the East Lake Creek trailhead in an aspen grove and bears south after a mile onto Dead Dog Trail. As we gain elevation the forest turns to mixed spruce/ fir and the trail becomes slightly steeper. 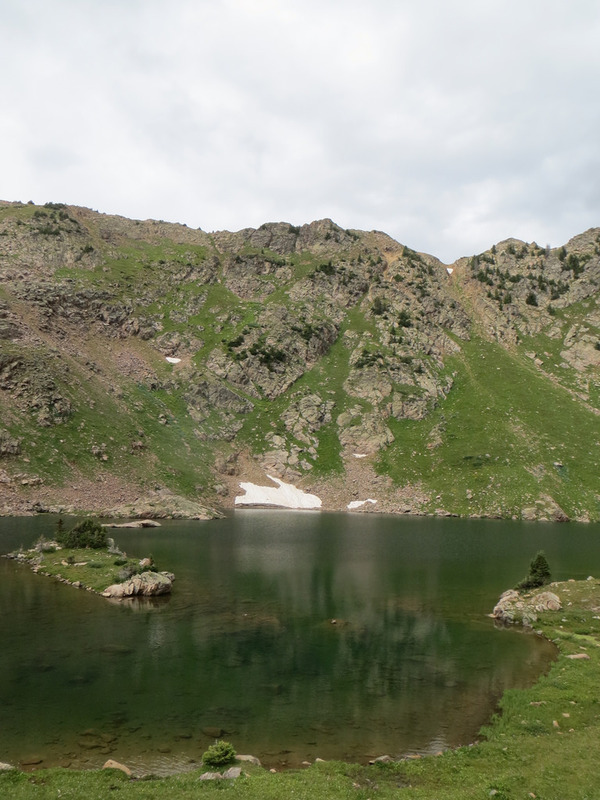 The trail ends at Middle Lake with picturesque views surrounded by rocky, snow-covered peaks. This is a long (7 mile one-way) and more strenuous trek but the views and vantage points are unique to this Mid-Valley location! 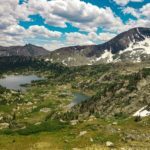 One of the more ambitious trails on the schedule for this summer, the trail begins near Homestake Reservoir and passes through open meadows to end at a pristine alpine lake. Hikes are graced with views of cabins from a time passed and wildflowers as far as the eye can see. Martin Creek Trail is rated a more difficult trail departing near Minturn and climbs in elevation steadily following an old road. 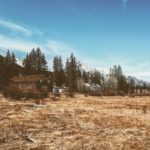 Passing by the remains of several old cabins, Martin Creek Trail offers beautiful views of Cross Creek Valley and Mount of the Holy Cross and is a perfect fall excursion. Departing from the end of Tigiwon Road just south of Minturn, this trail passes by the Fall Creek drainage that also serves as an auxiliary route for those attempting to summit Mount of the Holy Cross. 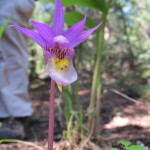 This is another gorgeous trail almost wholly within the Holy Cross Wilderness that provides for excellent views and chances to experience late season blooms. 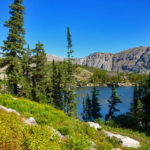 One of the rare, looped trail systems in the area, this trail ascends in the Hagerman Pass area providing excellent views of Turquoise Lake and the surrounding wilderness areas. This 5.5 mile round trip only covers 400 feet of elevation gain, making it one of the more accessible trails in the Leadville Area. Departing from near Twin Lakes, this is only one section of the 500+ mile long trail from Denver to Durango. 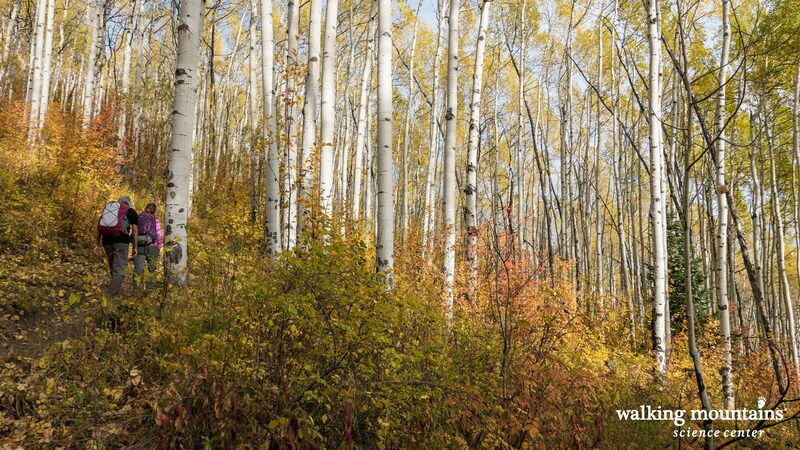 The trail winds through aspen groves and skirts the base of some of Colorado’s highest peaks. Join us in our very own backyard for an exciting trip up the hills overlooking Avon and Walking Mountains Science Center’s campus. Departing from Buck Creek Road, just above Walking Mountains’ campus, this trail crosses over Buck Creek a few times as it winds up to a junction with Red and White Road. 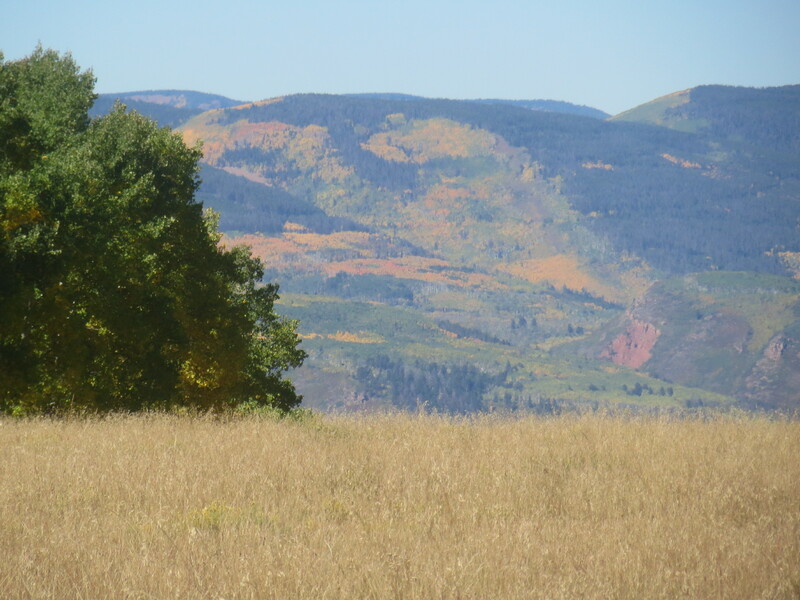 We will stop for lunch overlooking the town of Avon and Beaver Creek and be rewarded with a whole new vantage point of where many of us call home. Another down valley hike departing from near Sylvan Lake State Park, this trail follows the gulch to views of the park and surrounding areas. We will pass by a turnoff to natural springs and stop for lunch at a secluded overlook providing views of the beautiful Sylvan Lake. 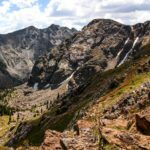 A popular year-round trail leading to Buckeye Peak and the Sangree Froelicher Hut provides great views with a very moderate effort. 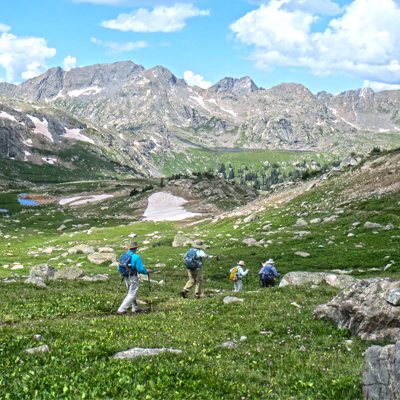 Hikers follow an old 4×4 road for a couple miles before splitting off and slowly winding up through tree-line across grassy alpine slopes. If you’re looking for “Sound of Music” views, this is your hike! This hike is now full. We apologize for any inconvenience. 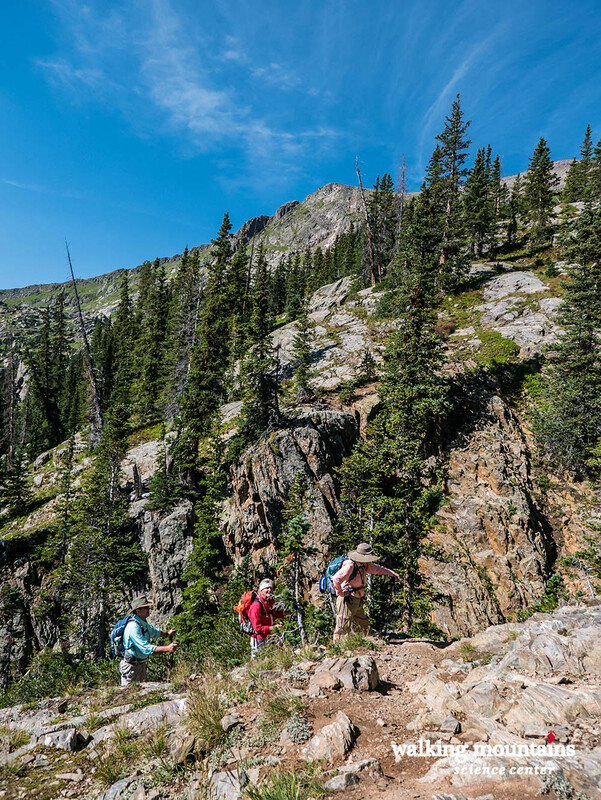 Departing from historic Camp Hale, home of the renowned 10th Mountain Division, this long but mellow trail passes through the old training grounds and concludes at the Continental Divide near Ski Cooper. The trail winds its way along an old railway bed and hikers will get a close up view of old settlers’ cabins and coke ovens that were used to make the charcoal for the historic railways. 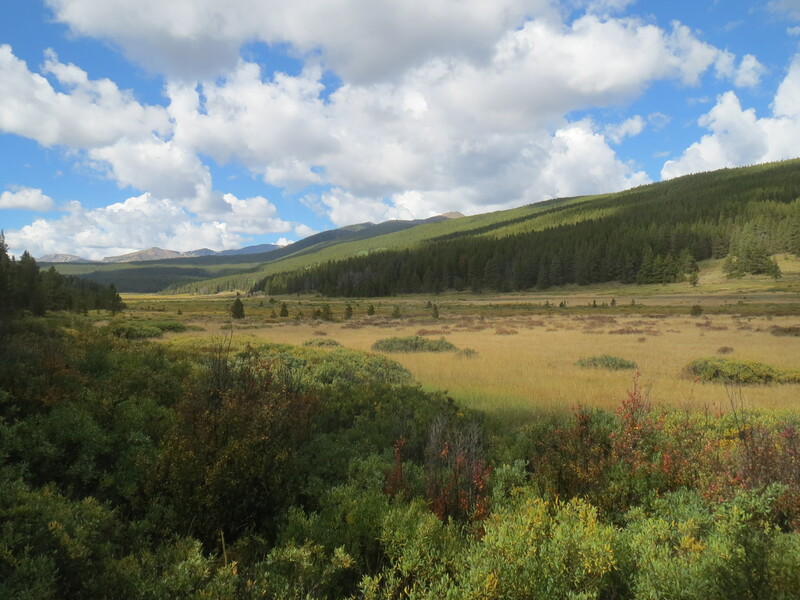 The Sneve Gulch trail begins at Sylvan Lake and ends at Forest Road #436. 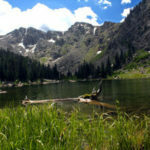 The trail begins in aspen and climbs up steeply to an overlook of Sylvan Lake. This well-marked, maintained trail has steep grades while passing through open meadows, aspen, spruce, fir and lodgepole pine forest. Parts of the trail have views of Red Table Mountain to the southwest and the high, red sandstone cliffs of Mount Eve to the north. Stag Gulch is located at the same trail head as the Squaw Creek trail. 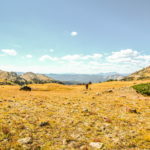 Although steeper than Squaw Creek, the trail climbs into pastures and grasslands surrounded by bountiful aspen and graces hikers with views of Cordillera, Edwards, and further back into the Holy Cross wilderness. 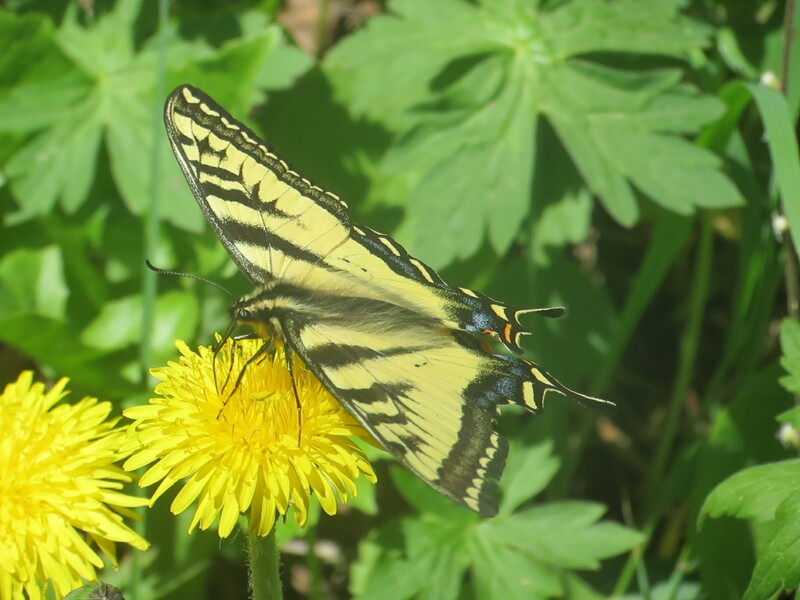 A recreation hotspot that is also home to the United States Forest Service Minturn Ranger Station, the Meadow Mountain trail winds its way from the valley bottom, once used as a lettuce farm, to a mixed aspen forest. 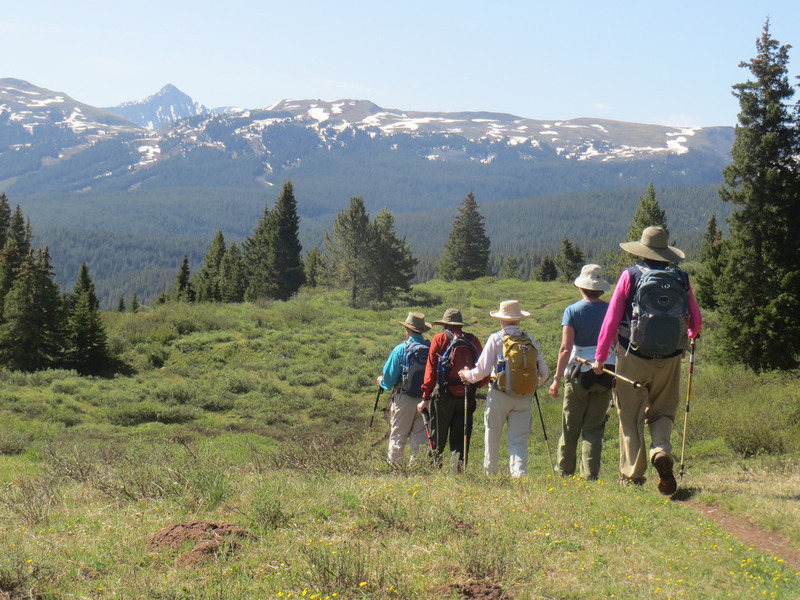 A popular and easy trail, this half-day hiking location is perfect for those looking to learn more about the history of the area while enjoying views of the backside of Vail Mountain. Arguably the most scenic hike we’ll do this summer, Machine Gun Ridge is home to old artillery and live fire testing done by the soldiers training at Camp Hale. 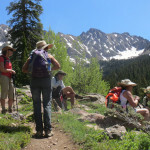 Beginning above treeline, the cat track trail follows a ridgeline with 360 degree panoramas of the surrounding mountains. 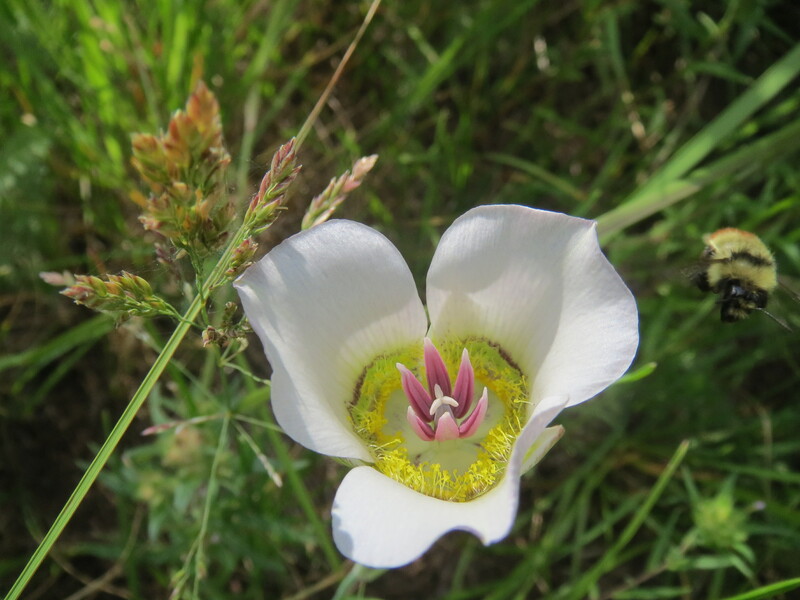 Wildflowers are abundant as is the sunshine! The Squaw Creek trail begins at Squaw Creek Road and ends at Salt Creek Trail #1878. 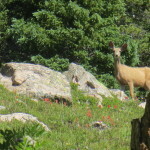 The trail starts with a steep climb through wildflowers and aspen, becoming more gradual as you pass ranch property below and to the left of the trail. 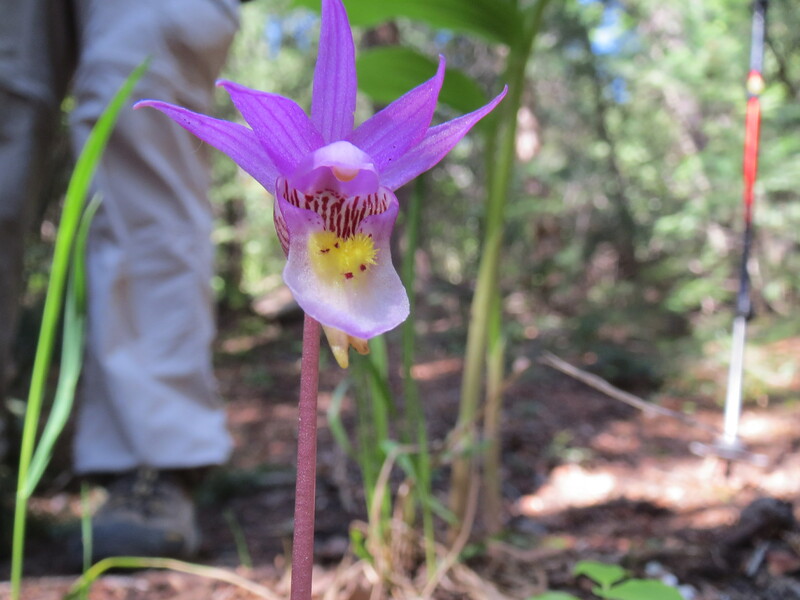 The trail follows an old road grade up the Squaw Creek drainage before turning back into singletrack, crossing meadows, and Elk Meadow which provides a chance to see scarlet gilia, lupine, geranium, and the various paintbrush wildflowers. A down valley trail departing from near Sylvan Lake State Park, the Mt. 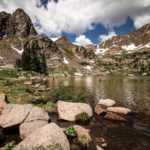 Thomas trail’s best features are the panoramic views seen in all directions of the Frying Pan Valley, Ruedi Reservoir, Maroon Bells, and Snowmass of Aspen seen to the south. 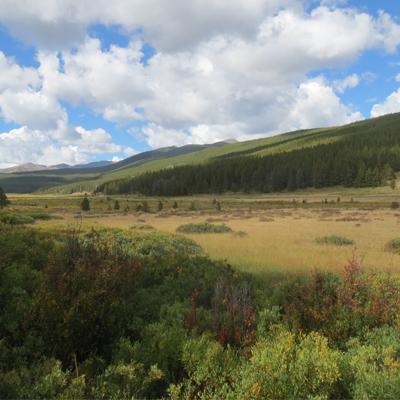 Northward, the Brush Creek drainage, Leeman Gulch, with associated lakes and the snowcapped peaks of the Gore Range are visible. 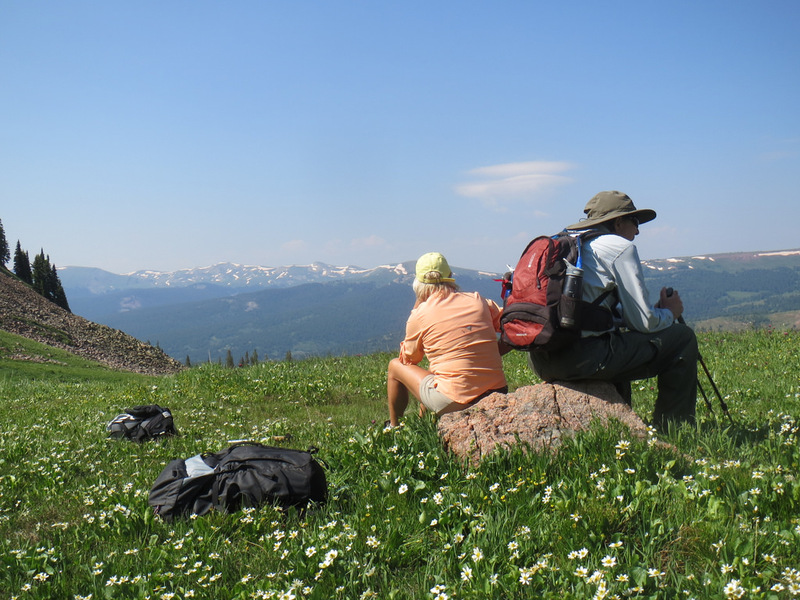 This is a pleasant 3½ mile hike from the parking lot at Vail Pass to the top of Ptarmigan Pass. 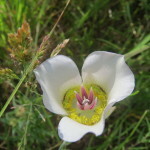 There are potential opportunities for viewing a variety of wildlife and wildflowers. The trail ascends gently while it passes in and out of coniferous forests and meadows. At the end of the Wilder Gulch trail you will come to a 4WD road that you can follow up to Ptarmigan Pass. 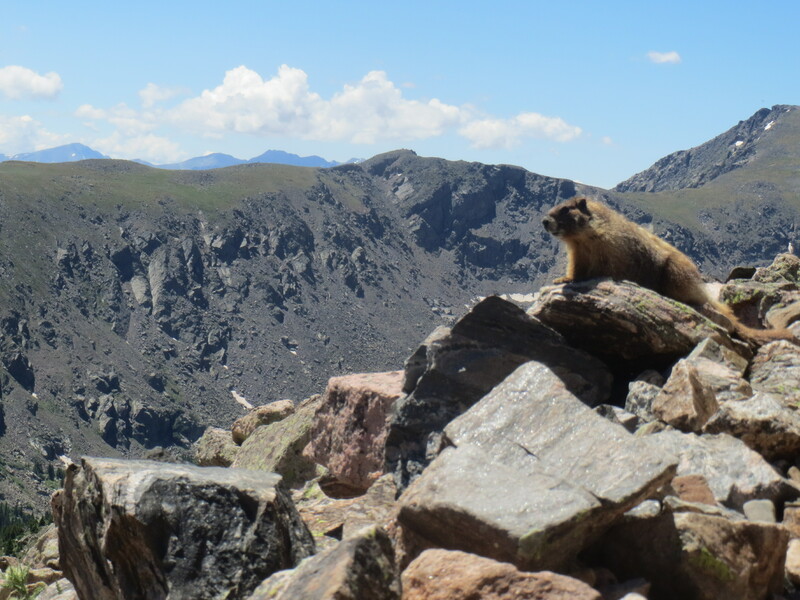 Ptarmigan Pass offers fantastic views of the northern Sawatch Range and the west side of the Gore Range. Nolan Lake Trail is almost entirely uphill in order to reach the lake. Leaving from the Town of Fulford the trail is roughly three miles to the lake. The trail itself is easy with few obstacles and these are easily overcome. 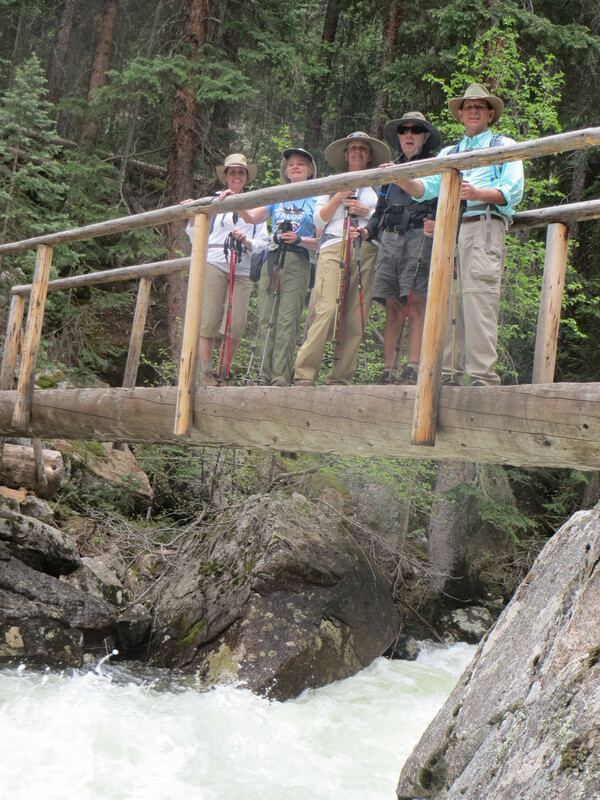 Nolan Creek flows adjacent to the trail at various sections, some offering picturesque views of waterfalls. The hike begins climbing through trees and after a short while emerges above timberline, providing views north and south. The trail climbs up to the ridgeline, follows the ridge for a portion, and then drops down to Lake Charles. The Iron Edge Trail officially begins at the Fulford Cave Trail Head, however the trail is intersected at the Peter Estin Hut on Hat Creek Road. For a shorter hike it is recommended hikers begin here. Parking is provided at the trail head. The hike offers spectacular views! 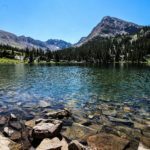 A local favorite, the Missouri Lakes trail is a heavily used trail that provides excellent views of the Sawatch Range and pristine alpine lakes. 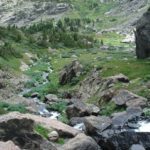 This is a must-do hike for all Eagle County hikers and is quintessential Colorado and Holy Cross Wilderness. This is not the “loop” consisting of the Fancy Pass trail. 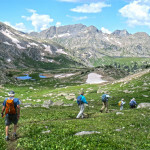 Check August for the Missouri Lakes Loop hike. 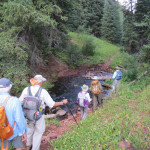 This is one of the more challenging East Vail hikes but the payoff is well worth the physical exhaustion! 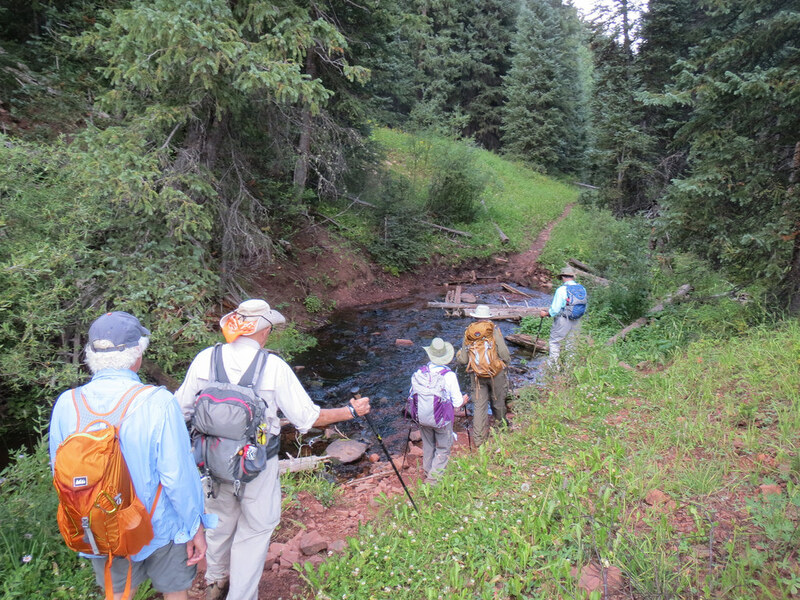 A few old mining camps mark the turnaround during this full-day hike and hikers are rewarded with views of the I-70 corridor and Vail Mountain. 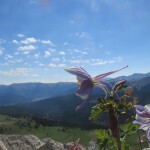 We time this hike to coincide with the bloom of glacier lilies, one of the sweetest tasting flowers you will ever try! The trail to Lake Charles begins in Sylvan Lake State Park near the famous Fulford Cave. 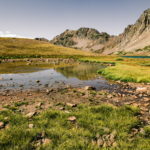 The trail follows East Brush Creek up to the lake which is situated in the Holy Cross Wilderness area and is the beginning of a more ambitious trek to Mystic Island Lake, a local favorite. A relatively moderate trail, be prepared for views of Sylvan Lake State Park and numerous granite outcrops. Departing from the Shrine Pass Road atop Vail Pass, this trail provides excellent views of the Gore and Ten Mile Ranges. We will circumvent portions of Vail’s back bowls that are closed for elk calving season. If time allows, we will take a short side trip to Julia’s Deck, a wheelchair accessible viewing deck that provides a panorama of Mount of the Holy Cross. The Fancy Creek Trail rises quickly in a moss-draped forest to the lake, and continues on a challenging climb to Fancy Pass (12,390′). 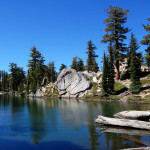 While Fancy Lake is more confined than the Missouri Lakes basin, hikers will enjoy privacy among knolls that ring the lake, and in thick forests just below it. 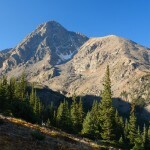 Notch Mountain is a true 13er and hikers should be prepared for numerous switchbacks above treeline. Ending at a small stone hut with a backyard view of Mount of the Holy Cross, this trail is not for the faint-hearted but the payoff is well worth the exertion. Departing from the historic Camp Hale, home of the renowned 10th Mountain Division, this is the steeper section of the Colorado Trail in the area. 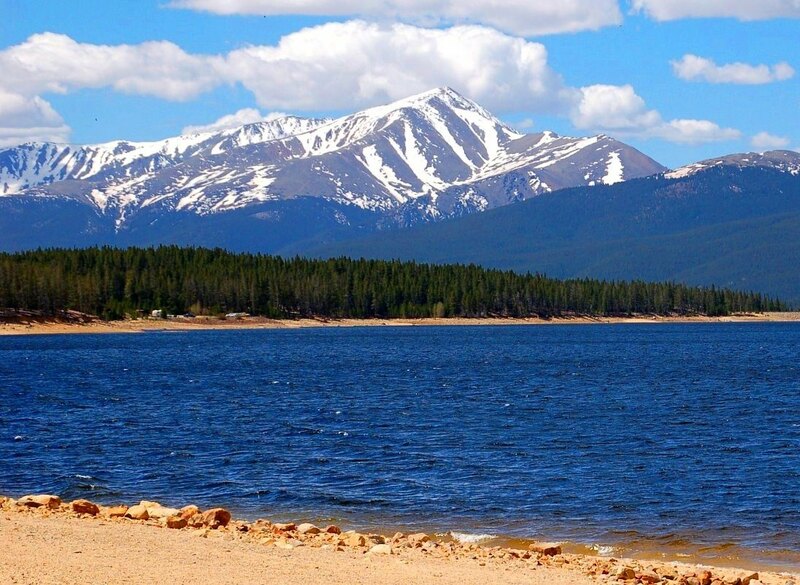 We will head North and be graced with views of Copper Mountain, Frisco, and Breckenridge. 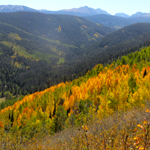 This is one of the premier fall color hikes in the area. The Booth Lake Trail is one of the most popular trails in the Vail area. 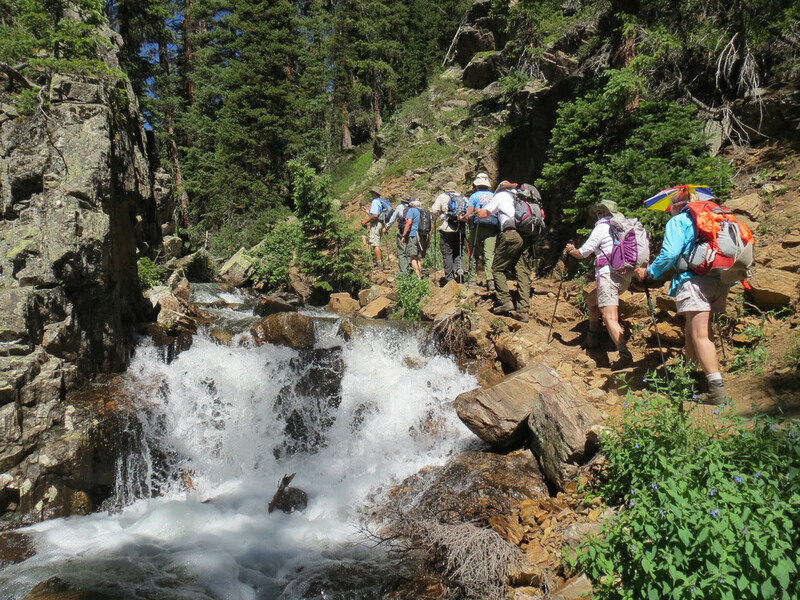 After a rather steep climb, hikers are rewarded with views of the beautiful Booth Falls. The waterfalls mark the intended turnaround for half-day hikes and make for a great “polaroid moment.” Full-day hikes will conclude at Booth Lake which is a full 6 miles and 3,000 ft above the trailhead. 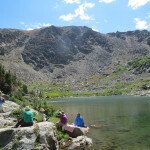 Although the lower section may be busy, the portion of the trail above the falls rewards those persevering hikers with a gorgeous mountain lake surrounded by the Gore Range. 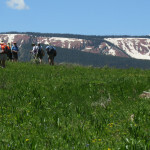 The Uneva Peak Trail departs across from the Vail Pass rest stop and ascends the opposite side of Vail Pass. Hikers are rewarded with meadows full of paintbrush of all shades and concludes with an overlook of Lake Dillon and the town of Frisco. If you’re looking to get into snow this summer, Uneva peak is always a possibility! Departing from Homestake Road, The trail ascends steeply through aspen and conifer groves. At various points along the trail views of the Sawatch Range can be viewed. 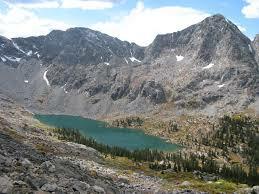 Whitney Peak rises up from the north lake shore to an elevation of 13,271 ft. 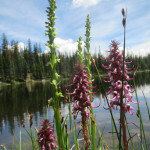 The large, sub-alpine lake offers excellent fishing and scenic views. Whitney Peak can be climbed by following the west ridge up to the summit. 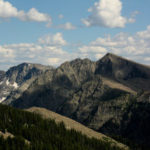 The only 14er in the Holy Cross Wilderness, Mount of the Holy Cross can be seen as the driving force behind the development of the Eagle Valley and surrounding towns. 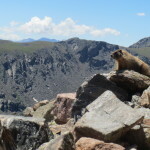 This difficult trek will begin before sunrise and hikers will face challenges clambering over scree fields and over a mountain pass as we spend a full day checking Mount of the Holy Cross off the 14er checklist. After registering to hike Mount of the Holy Cross, you will be contacted by the guide to go over the logistics of the hike. As this is an advanced hike, prior hiking or mountaineering skills are desired as is being acclimated to our thin mountain air. The Fall Creek trail begins at the top of Tigiwon Road and ends at the top of Holy Cross City. From the North Trailhead, the trail climbs gradually to Lake Constantine. After crossing Fall Creek, the trail climbs abruptly to the alpine meadows below Fall Creek Pass. Over the pass, the trail drops down to the Seven Sisters Lakes and then to Hunky Dory Lake before intersecting the Holy Cross City Jeep Road. The Interlaken hotel complex was a swank resort that operated on the banks of the glacial Twin Lakes during the late 1800’s. Today, the site is a relic of Leadvilles rich history, and although many of the structures still remain, the only visitors come via hiking boot. 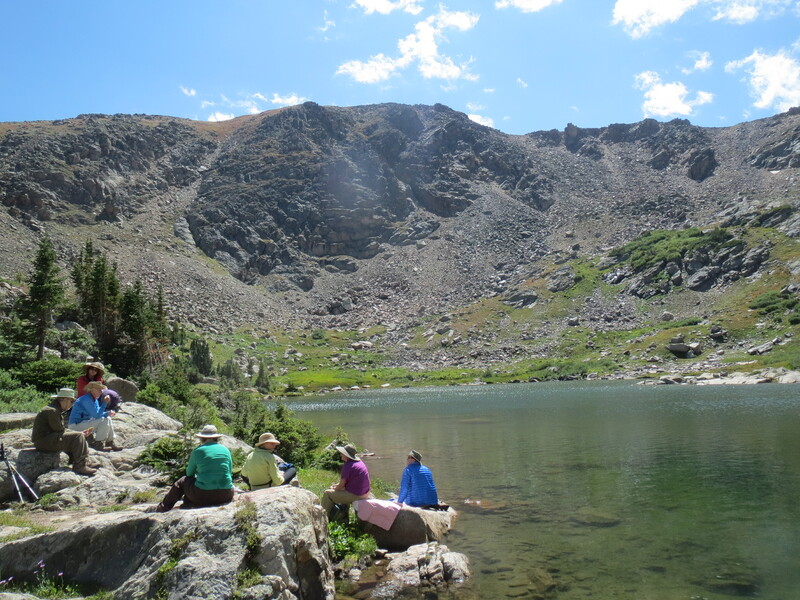 This is a relatively moderate hike that follows the shoreline of Twin Lakes. 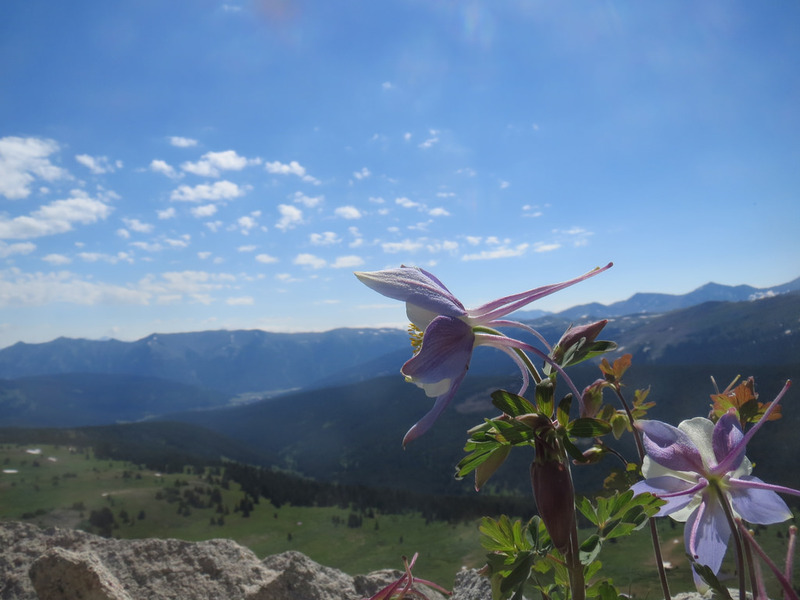 The highest point in Colorado is our destination on this long, but accessible ascent. At 14,430 feet above sea level, this hike will truly test your lungs but reward you with true “top-of-the-world” emotions. 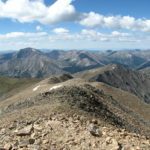 This difficult trek will begin well before sunrise and hikers will face challenges clambering over scree fields and steep slopes to cross Elbert off the 14er checklist. After registering to hike, you will be contacted by the guide to go over the logistics of the hike. As this is an advanced hike, prior hiking or mountaineering skills are desired as is being acclimated to our thin mountain air. Another locals “stash” hike, this loop connects the Squaw Creek trail to Big Park and the Stagg Gulch trail in Edwards. We’ll follow the creek till we reach the cat track up Poison Gulch where we’ll climb up to the meadows of Big Park and back down the Stagg Gulch trail. A local favorite, the Missouri Lakes loop is a heavily used trail that connects the Missouri and Fancy Drainages. 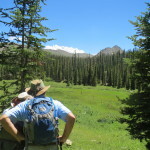 The trail provides excellent views of the Sawatch Range and pristine alpine lakes. 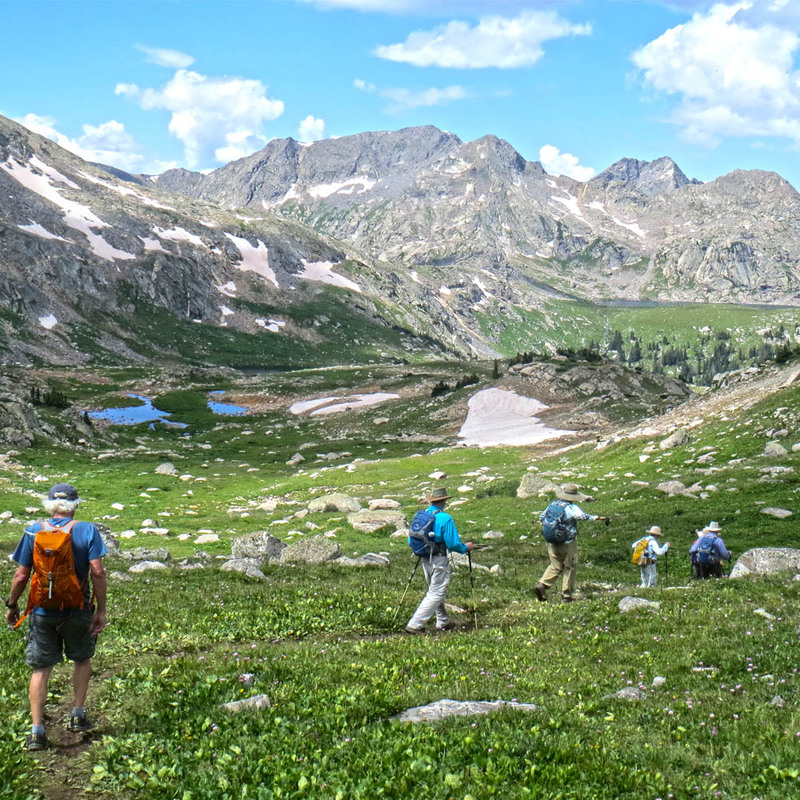 We’ll start up by Fancy Lake and over Fancy Pass, into the East Cross Creek drainage and back down over Missouri Pass through all of the Missouri Lakes. An extension of the Lake Charles trail, the route to Mystic Island Lake is only another mile and the magnificent views are totally worth the effort. Mystic Island Lake is nestled beneath some of the Sawatch Range’s most impressive peaks and the namesake island is truly a treasure to behold. 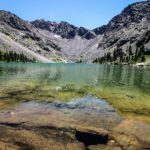 This challenging yet rewarding hike provides excellent views of Sylvan Lake and down valley hotspots while views of the backside of Mount of the Holy Cross is ever present. 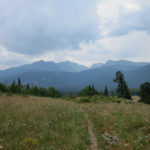 This trail has access to some of the areas once famous for hard rock mining including the town of Fulford and passing by Fools Peak and Gold Dust peak. 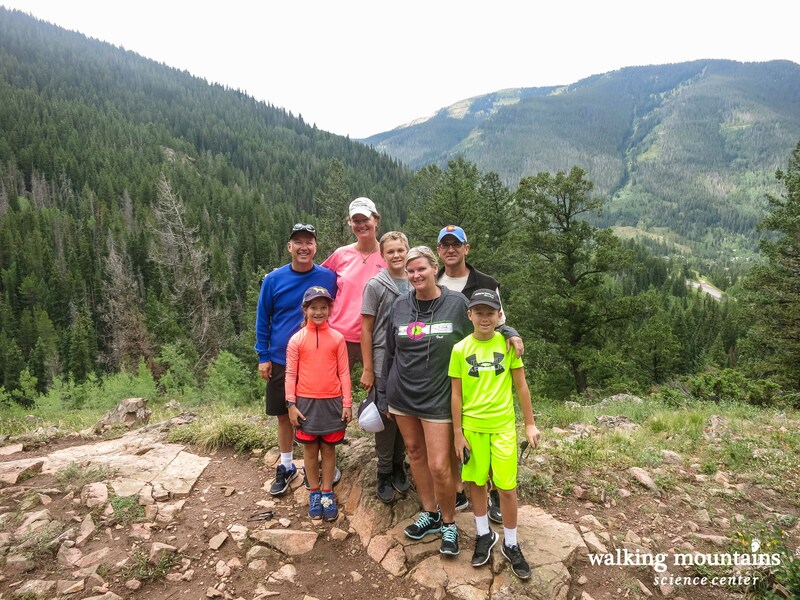 Family hikes are at a more casual pace and are fun for the whole family! Ages 8+, $30 or $25 for VRD taxpayers. A very popular trail our of the Edwards area, the Lake Creek drainage provides great views of New York Mountain and historic mining ruins. Beavers are especially busy in the area and have caused many parts of the drainage area to become swampy and abundant with wildflowers and wildlife. Since this is a 12+ mile long trail, we’ll hike until we get tired then turn around! 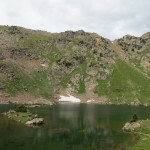 The Booth Lake Trail is one of the most popular trails in the Vail area. After a rather steep climb, hikers are rewarded with views of the beautiful Booth Falls. 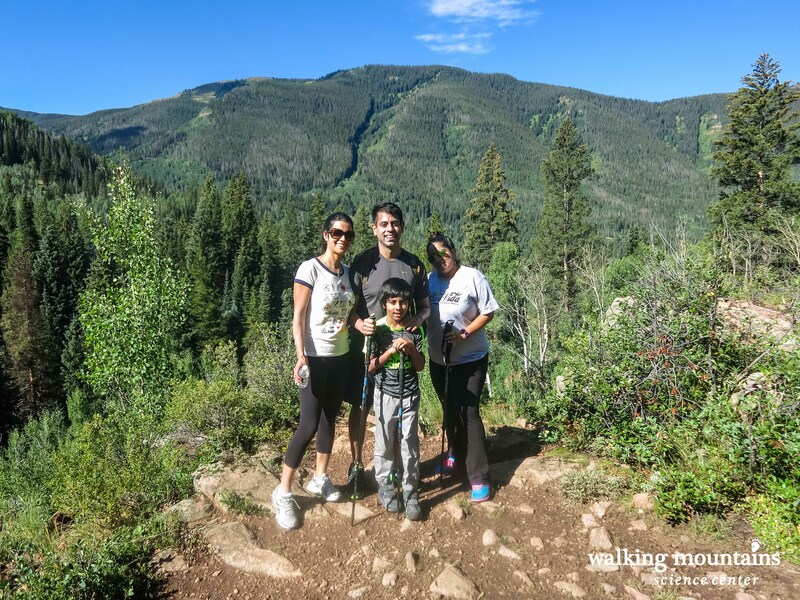 The waterfalls are a great turnaround for half-day hikes and make for a great “polaroid moment.” This is the quintessential Vail Hike and although it is very popular, choosing a guide for your hiking experience ensures you won’t miss out on any flora or fauna! Departing from a trailhead off Tigiwon Road just outside Minturn, this trail quickly enters into the Holy Cross Wilderness area. Hikers get to see first-hand the affects glaciers had carving out this tremendous valley. Since this is part of a 14+ mile trail, full-day hikes will reach a turnaround around lunchtime and half-day hikes will turn around at a spot on the trail that provides an excellent view of Mount of the Holy Cross. 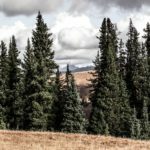 A local favorite, this easily accessible trail follows the ridgeline opposite Vail Mountain providing great views of the ski hill and Town of Vail. 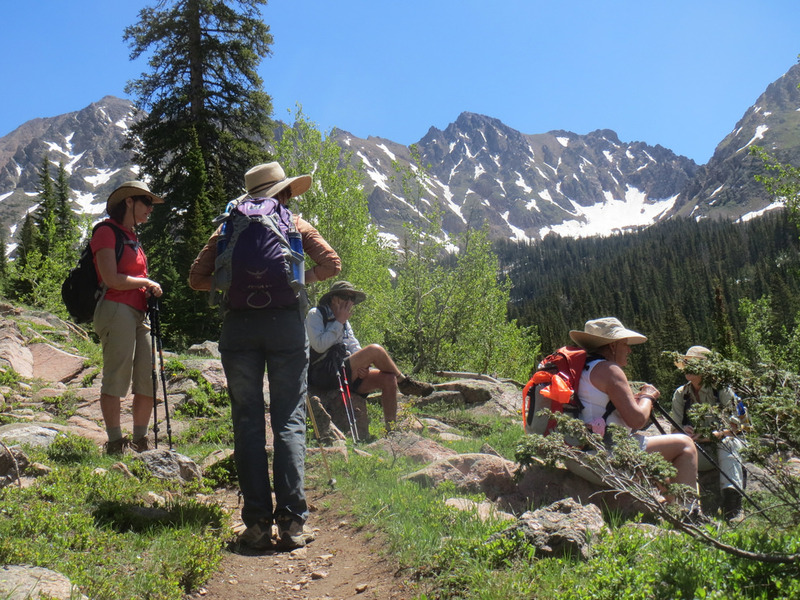 Departing from Red Sandstone Road, we hike a short portion of this main thoroughfare and pass through mixed aspen and conifer forests while experiencing firsthand some of the damage incurred by the mountain pine beetle. Departing from a trailhead off Tigwon Road just outside Minturn, this trail quickly enters into the Holy Cross Wilderness area. Hikers get to see first-hand the affects glaciers had carving out this tremendous valley. Since this is part of a 14+ mile trail, we’ll turn around well before the trail ends while still getting the views and experience of a true mountain trail. No hike Thursday, July 5th. We apologize for any inconvenience. 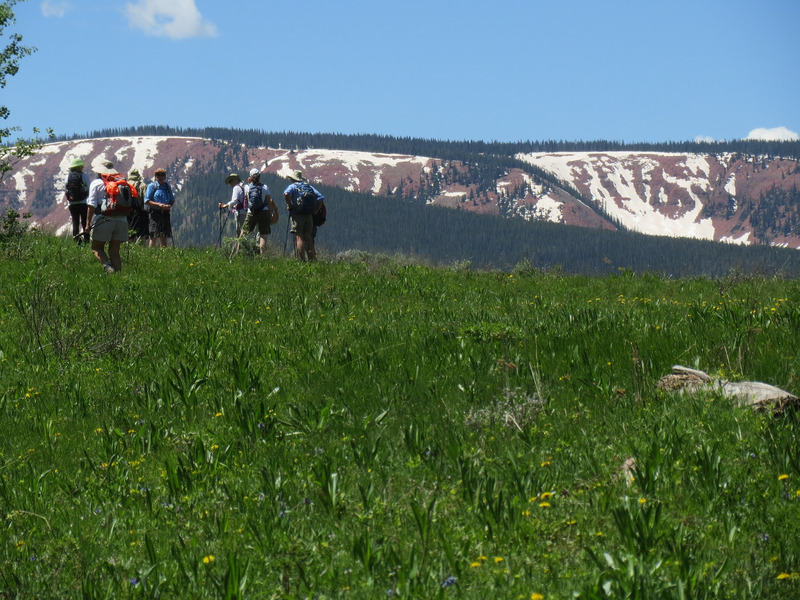 Located atop Cordillera just West of Edwards, this hike loops though Elk Meadows and near the Big Park spring. A longer drive for a half-day hike, the reward is well worth the wait as we’ll drive most the elevation change causing this to be one of the “flatter” hikes on our schedule! This hike is now full. Please select another date. We apologize for any inconvenience. Hikers should come prepared to spend the day on the trail, including bringing lunch, rain gear, and plenty of water. 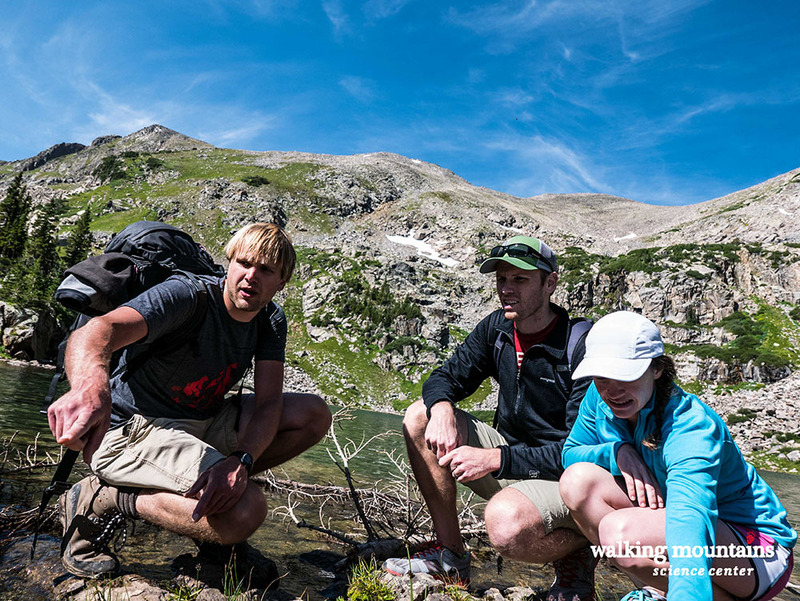 Full-day hikes (ages 16+) are geared towards hikers who are looking for a truly immersive experience whereas family hikes (ages 8+) are more leisurely pace and fun for the whole family! 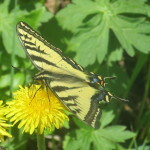 Click here to learn about our free daily nature walks. 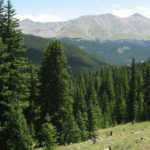 The Eagle-Holy Cross Ranger District has put together a helpful sheet on how to prevent risk and injury while enjoying Colorado’s National Forests. Click here to view their safety tips and learn more about some popular local trails. 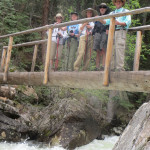 The September 21st hike was fabulous with your two knowledgeable guides! I was amazed how much McCale knew about nature and animals! She sparked with excitement to share with us. She is an asset to your organization and the geology lessons were fascinating by your volunteer, John. I will definitely recommend your walks to friends! I shall return for one of your nature walks next summer when I return from Sedona. This was our third week-long trip to the Vail Valley. Each time we have done a hike with Walking Mountains. Peter is amazing and yesterday’s excursion to Booth Falls with McCale Carter was up to par: excellent explanations of the flora and fauna and details of what to expect. While we could have been the grandparents of the young girls (this was billed as a family half-day outing), she made it work for all of us. Go Walking Mountains! 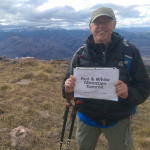 I am still beaming after summiting my first 14er with Walking Mountains, Peter, and his fellow guides. Joined them on other hikes and will in the future. This welcoming group includes seasonal locals, vacationers and folks of all ages, whoever is available and interested on the allotted day. As I’m the big hiker in my family, this removes my concern about hiking alone and gives me access to gorgeous places. Well worth the time and your effort, wherever they take you around the Vail Valley environments. 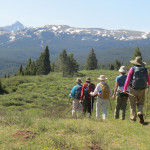 I have enjoyed a good handful of Colorado day hikes organized by Walking Mountains Science Center. Our able guide, Peter, is consistently cheerful, organized, prepared, knowledgeable and on top of details that I don’t want to concern myself with…weather, trail directions, etc. 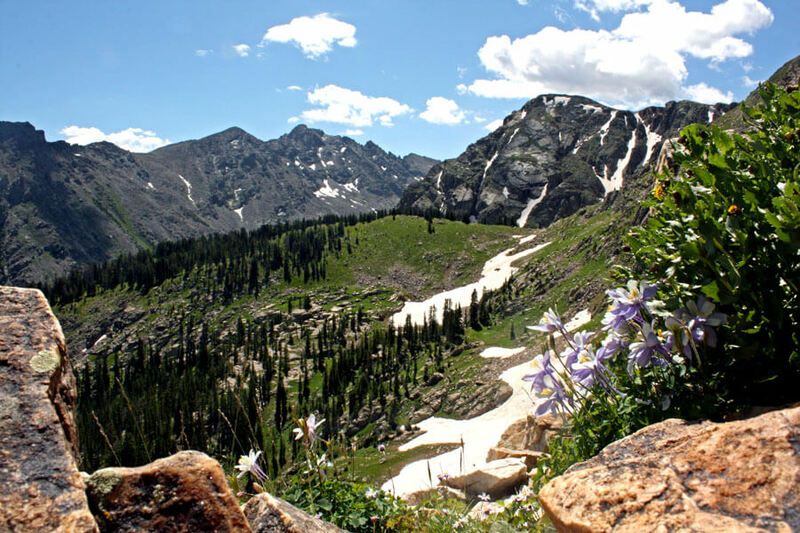 If you love being in Colorado’s mountains just enjoying great views, wildflowers, and a good workout, this is a great way to spend the day. We were so happy with our experience hiking with Walking Mountains! Our guide McCale was fantastic!! She was so wonderful with the girls!! We loved every moment! So glad we called and did this. What a jewel McCale is!!! I can’t say enough good things about her! We can’t wait to do this again! Thank you so much for arranging our guided hike today. As always, we had a fantastic time, and the staff did an amazing job!! Word has spread about this event, and it is one of our most popular survivorship outings each year! We are looking forward to our next event with you. Your dedication to hospitality and true passion is so admirable and today was no exception. As you clearly understand the gift in creating the memory and accomplishing goals is priceless…thank you! Thank you so much! We unanimously agreed today was our favorite activity of our trip. You’ll definitely hear from us again and we’ll be sure to recommend to friends! Hikes will go out in almost any weather. Walking Mountains Science Center reserves the right to cancel a hike due to unsafe conditions. If Walking Mountains cancels a hike, full refunds will be issued. 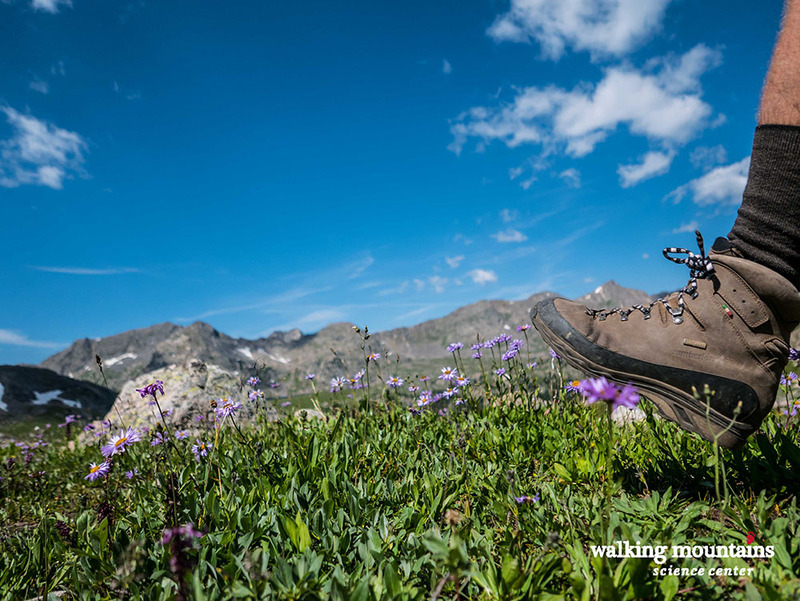 If a hiker chooses to cancel prior to a week before a scheduled hike, 50% of the purchase price will be refunded. All cancellations made within a week of a scheduled hike surrender the full cost. Please contact Peter Suneson, peters@walkingmountains.org, 970-827-9725 ex 128 to discuss cancelling your hike. Walking Mountains Science Center and the Vail Recreation District operate under a special use permit from the White River National Forest and the San Isabel National Forest and is an equal opportunity service provider. All or part of this operation is conducted on Public Lands under special permit from the U.S. Forest Service.